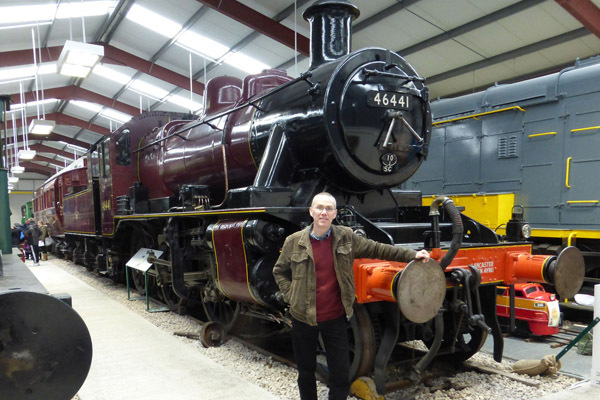 Me with Ivatt Class 4461 at Preston. 1950 Crewe built steam loco 46441, in its working life was laterly based at Lancaster’s Green Ayre shed (now Sainsburys). Back in 2000, when I was the Garstang Courier’s photographer, I had the very great pleasure of firing and driving this loco, as part of a newspaper feature on the East Lancs Railway near Manchester. 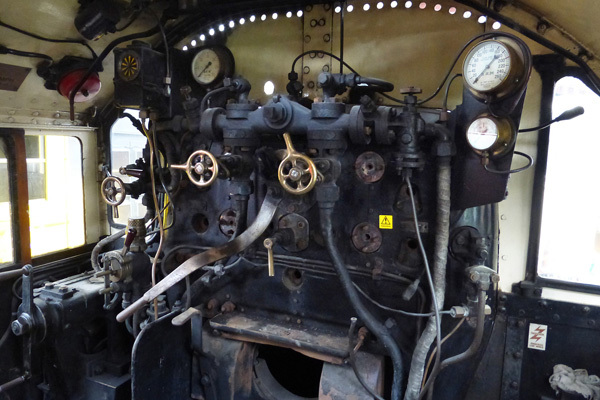 I couldn’t resist revisiting the footplate 18 years on (in the absence of any sign or rope suggesting otherwise). 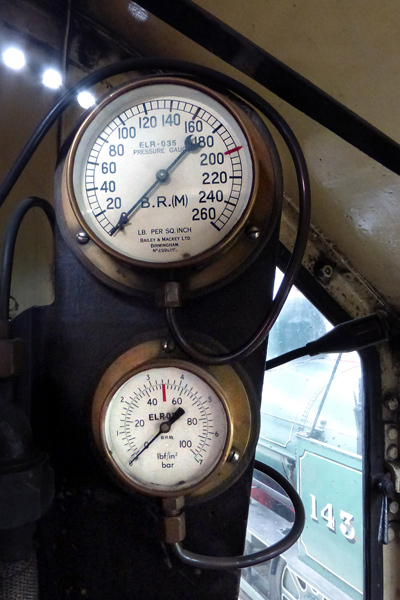 A peak at the controls on the footplate. 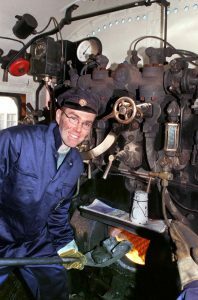 In my element on the footplate back in 2000. Few experiences in life could have been more memorable than my brief opportunity to indulge in a childhood dream of driving a steam locomotive. 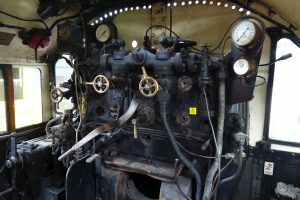 This particular engine is a resident in the museum at the Ribble Steam Railway and rumors have it that it may be overhauled and put back into service in the near future. 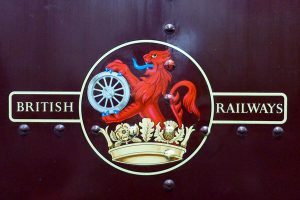 British Railways’ iconic original emblem. 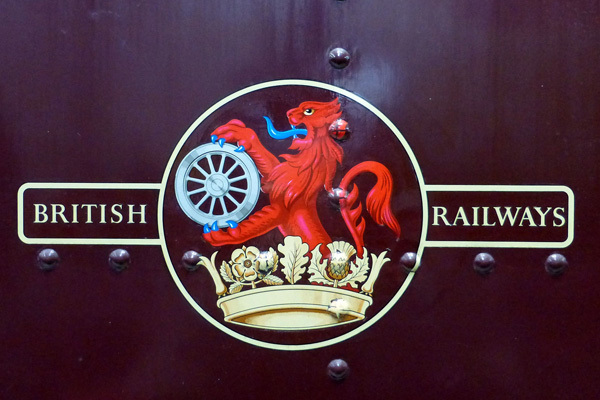 Now painted in LMS maroon and not it’s authentic BR black, I am hoping it will be returned to the correct livery. Flashback to the newspaper feature. 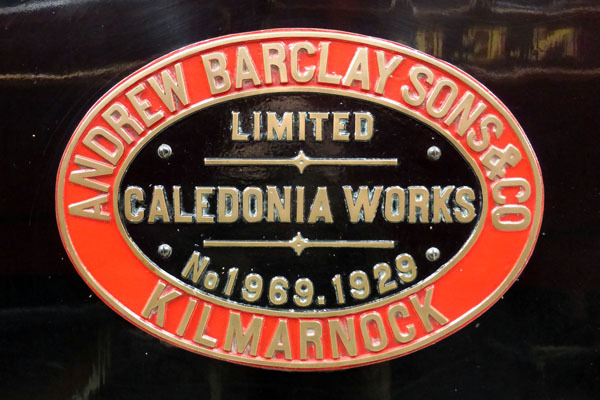 On a similar subject, a number of engines in the museum support these familiar (to railway buffs) brass plaques, denoting the very famous steam engine manufacturers, particularly for smaller industrial locos, Andrew Barclay & Sons of KIlmarnock. Coincidentally, I was born only a few miles from this factory whilst it was still in production. 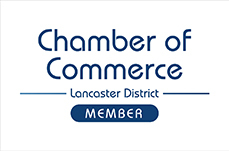 Nowadays it has changed ownership but is still in the railway engineering sector. Fine view from the museum cafe! What heritage railway visit would be complete without a visit to the cafe, where there is a fine view looking out onto my favourite engine? If you’ve not been before and like a touch of railway nostalgia, do get yourself down to the attraction near to Preston Docks. 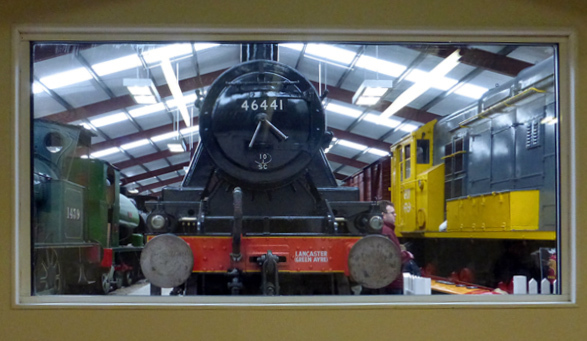 Steam trains run most weekends through the summer and the excellent museum and engine shed is well worth a look.